For the puzzle enthusiasts, arriving just in time is our line up of Christmas Limited Edition puzzles. Come in and see our complete Holiday puzzle line up. We also have a fabulous selection of non holiday high quality puzzles from Ravensburger, Cobble Hill, TDC, and White Mountain. Come and visit us at 30 NW 2nd Street in Historic Downtown Gresham.We have a large selection of family games, strategy games, Euro-style games, war games, card games, dice games and more. 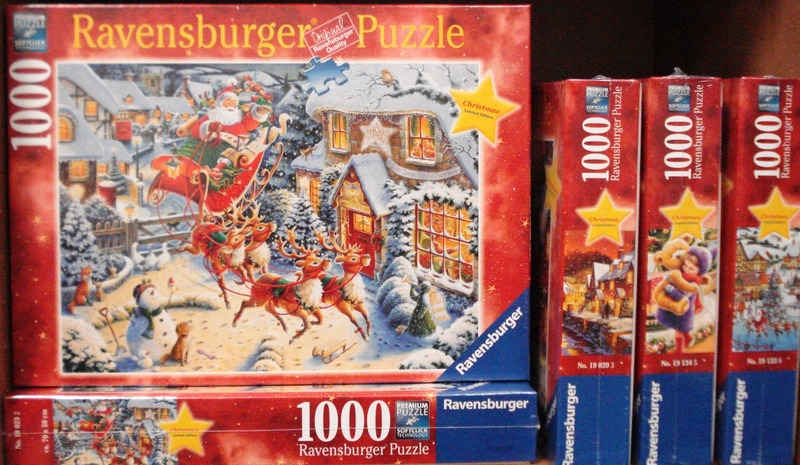 Also for the puzzle enthusiasts we carry quality puzzles from Ravensburger, TDC, White Mountain, and Cobble Hill.